How long will it take before I am better? How long will it take before I am better? This is a very individual answer and depends on the following. 1. How long you have had the problem 2. How bad is it 3. How much damage has occurred 4. How quickly you personally heal The vast majority though will need a course of designed for their problem. The care is divided into the first or “relief phase” of care which is designed to make you move and feel better as quick as possible. This is usually the most intensive part of the treatment this typically takes about two to six weeks. After a review, you can decide to stop care if you wish and come back if and when the problem returns. However, most patients prefer to continue care and start the rehabilitation phase using supporting exercises to not only feel better but feel stronger. Typically the appointments are spread out further and further until you feel confident enough to come on a check up basis. Remember it’s your health you can stop start at your care whenever you choose. We will advise we do no not preach. GP’s are now told not to routinely x ray the spine unless concerned about possible pathology (N.I.C.E guidelines). This is mostly due reduce radiation dosage and cost. The majority of medical treatment is either pain killers, anti-inflammatory drugs or “keeping active”. Some patients are referred to physiotherapy or rarely a consultant usual at a hospital which has a waiting list. We believe that X rays are inexpensive and give us invaluable information or a “roadmap of the body” when treating with manipulation or physical therapy. For example, if a person has arthritis, severe disc disease, osteoporosis, scoliosis (twisted spine), inflammatory conditions, congenital or birth abnormalities, old or recent fractures, surgery on an area or has not improved with GP’s conservative treatment. Then definitely X rays would help assess this. The results of the X ray are important to us as we would alter our techniques to suit the individual. Our first concern is our patient’s health and safety. 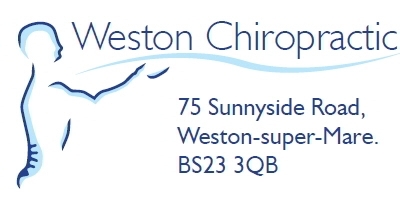 Weston chiropractic clinic has in house facilities which avoids delaying patients treatment. Should I exercise while having treatment? Of course you will need to do a bit less when the pain is bad. It is not advisable to stay in bed unless you have to and certainly not for more than 1 or 2 days. The most important thing is to get moving again as soon as you can, as sensible movement aids your recovery. When the Chiropractor feels you are capable of increasing your activities, he will give you a course of exercises, which will hopefully strengthen your back and allow you to be more in control of the problem than you have been in the past. Walking, cycling and swimming, when done in moderation, can be useful in your course of adjustments and treatment. Do I need to contact my General Practitioner? No unless you wish to. Your Chiropractor may send a report to your general practitioner (with your permission) informing your general practitioner of your problem and the treatment that has been given. Some companies need a general practitioner to sign 'Off Work Certificate'. The Nice Guidelines and the royal college of general practitioners recommend manipulation for the vast majority of mechanical back problems. No, chiropractic treatment is usually painless, unless the condition is acute or inflamed already. If an area is inflamed, it may be temporarily uncomfortable for a period of 12 - 36 hours after treatment. This is perfectly normal and patients should not be alarmed. To reduce the pain try a cold pack, a bag of frozen peas wrapped in a tea towel for 10 - 15 minutes every hour, or buy a special cold pack from the reception desk. Some patients use anti-inflammatory drugs like Ibuprofen for a 2-day course, as indicated on the instructions. Do not take these tablets if you have an ulcer, indigestion or are asthmatic - if you are concerned ask your General Practitioner. If you feel the problem has increased after treatment, stop what you are doing, apply some ice and telephone your chiropractor for advice. Do not worry, as this is likely to be only temporary reaction. There are no set numbers as this will depend on your problem. An average number is about 12-24 spread over 2-4 months. If the problem has a history of re-occurring or is a degenerative condition a regular maintenance and adjustment appointment would be a very good idea. Is there scientific proof that chiropractic works? Yes, particularly for low back pain. The Clinical Standards Advisory Group recommended in 19941 that there should be earlier access to the manipulative therapies and a redistribution of resources within the NHS to make this happen. In September 1996 the Royal College of General Practitioners issued guidelines for GPs which recommend manipulative treatment within the first six weeks for patients with low back pain. They also state that the risks of manipulation are very low in skilled hands. Is there anything wrong with me ‘cracking’ my neck or back myself? Yes. You cannot properly control a manipulation to yourself and your relief may only be temporary. You are more likely to be ‘cracking’ the wrong joint, since movement in the affected one will be restricted. Consult your chiropractor! Why should I return if I’m feeling fine? Your chiropractor has treated you, so allowing your body to heal, but if you have to continue the lifestyle which caused the original condition, your chiropractor may recommend regular check-ups or treatment. Is chiropractic treatment safe? Even if I’ve already had surgery? Chiropractic is remarkably safe when treatment is carried out by a properly qualified practitioner. Your chiropractor is trained to recognise conditions which require referral elsewhere, and can treat you even after surgery. How are chiropractors trained and qualified? It takes at least four years of full-time study to become a chiropractor at the Anglo-European College of Chiropractic (AECC) which offers a BSc (Hons) degree followed by an MSc, or the University of Glamorgan, which offers a BSc (Hons) degree. To practice in the UK all Chiropractors have to be registered with the General Chiropractic Council, which is an independent statutory body established by Parliament to regulate the profession and to ensure the safety of patients undergoing chiropractic treatment. They protect the health and safety of the public by ensuring high standards of practice in the chiropractic profession. What is the difference between chiropractic and osteopathy? There are differences in technique and approach, as well as some similarities. The important factor is that the practitioner is well-qualified. Both professions have statutory regulation. Should I bring my family for chiropractic checks? Yes. The strength of chiropractic is that it can help prevent discomfort, pain and even disease, and is suitable for everyone. It is entirely appropriate to visit a chiropractor even if you have no pain, as restrictions in movement can often be detected before symptoms appear, just as regular visits to the dentist can help to prevent toothache. Manipulation, when carried out correctly by a qualified practitioner, is not painful. If you have acute muscle spasm, when even the lightest touch hurts, there may be some discomfort. Sometimes, if you have had the problem for some time, you may feel sore whilst your body starts to adjust. You chiropractor will tell you if this is likely to happen. What is the popping noise of the adjustment? When the two surfaces of a joint are moved apart rapidly, as happens in a chiropractic adjustment, there is a change of pressure within the joint space. This may sometimes cause a bubble of gas to ‘pop’ – but this sound is not significant, and does not hurt. An average course of treatment may entail five or six visits over two or three weeks, but evey case is assessed individually, and it is important to keep your appointments, and make regular visits. Discuss this with your chiropractor, who will explain your treatment programme to you. 3. How much damage has occurred. 4. How quickly you personally heal. The vast majority though will need a course of designed for their problem. The care is divided into the first or “relief phase” of care which is designed to make you move and feel better as quick as possible. This is usually the most intensive part of the treatment this typically takes about two to six weeks. After a review, you can decide to stop care if you wish and come back if and when the problem returns. However, most patients prefer to continue care and start the rehabilitation phase using supporting exercises to not only feel better but feel stronger. Typically the appointments are spread out further and further until you feel confident enough to come on a check-up basis. Remember it’s your health you can stop start at your care whenever you choose. We will advise, not preach. GP’s are now told not to routinely x ray the spine unless concerned about possible pathology (N.I.C.E guidelines). This is mostly due reduce radiation dosage and cost. The majority of medical treatment is either pain killers, anti-inflammatory drugs or “keeping active”. Some patients are referred to physiotherapy or rarely a consultant usual at a hospital which has a waiting list. We believe that x rays are inexpensive and give us invaluable information or a “roadmap of the body” when treating with manipulation or physical therapy. For example, if a person has arthritis, severe disc disease, osteoporosis, scoliosis (twisted spine), inflammatory conditions, congenital or birth abnormalities, old or recent fractures, surgery on an area or has not improved with GP’s conservative treatment. Then definitely x rays would help assess this. The results of the x ray are important to us as we would alter our techniques to suit the individual. Our first concern is our patient’s health and safety. Weston chiropractic clinic has in house facilities which avoids delaying patient’s treatment. Of course you will need to do a bit less when the pain is bad. It is not advisable to stay in bed unless you have to and certainly not for more than 1 or 2 days. The most important thing is to get moving again as soon as you can, as sensible movement aids your recovery. When the Chiropractor feels you are capable of increasing your activities, he will give you a course of exercises, which will hopefully strengthen your back and allow you to be more in control of the problem than you have been in the past. Walking, cycling and swimming, when done in moderation, can be useful in your course of adjustments and treatment.